Happy Friday! Today I am guest posting over at 84th & 3rd while the lovely JJ travels the world. I know that she likes to eat healthy, so I’ve made some easy and flavorful honey-pistachio granola that’s sure to brighten your morning. JJ is one of those bright and warm people that I’ve “met” through blogging, and who I hope to catch up with in person some day (our mutual stomping ground is New York City, and I’m confident that our globe hopping will eventually intersect there). If you’re not familiar with JJ and her gorgeous, inspiring blog head over there now. Also, if you want this enticing recipe (it makes a great diy holiday gift too!) you’re going to have to take a peek there. But then come back for the blog hop! This week’s blog hop is all about honey and I can’t wait to see the gorgeous recipes you creative folks will link up. Have a great weekend! I love granola! Putting on my walking shoes and heading over to 84th and 3rd to get the recipe. 🙂 Thanks for hosting the honey hop, Katherine! I never made granola! I have to go check out your recipe! Granola is one of those things I like that I never think to make. Checking out the recipe right now . . .
What a great granola, Katherine! I am also making my own granola, homemade simply tastes best 🙂 Thank you for letting me share one of my gavourite honey recipes! And now I am heading over to check up your guest post…:) Happy Friday! Thanks so much for hosting!! Have a great weekend! 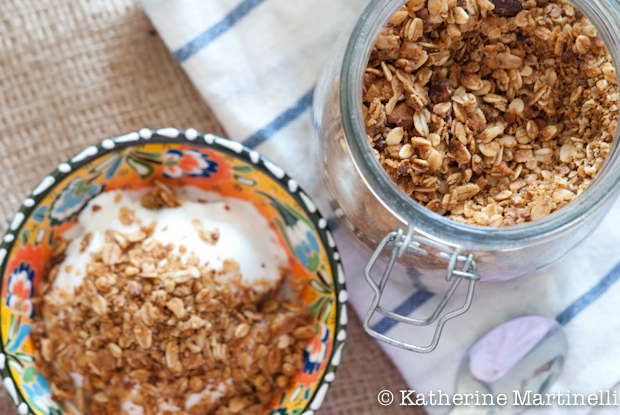 I love honey in my granola and the pistachios are unexpected, so I love that! I would love to wake up to this granola in the morning! YUM! 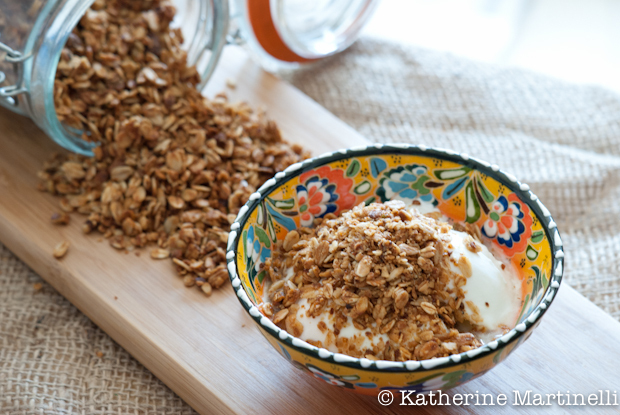 Pistachios in a granola – love it. Headed over the check out the recipe! thanks for hosting and have a marvelous weekend! This granola looks so good! I still have to try and make my own! Love the pistachios in it! Katherine, Katherine, Katherine, how have you been? Love your blog hops and I always wish I had something to contribute. This time I had so I was jubilant! 🙂 Been seeing you here and there on social media but…. BTW love granola which reminds me I need to make some batches! Love, love, love. Have you done a pistachio hop yet? Ooh such a good idea Kim, must put it on the schedule 🙂 We did nuts not too long ago, but I’m feeling like pistachios deserve their own day.